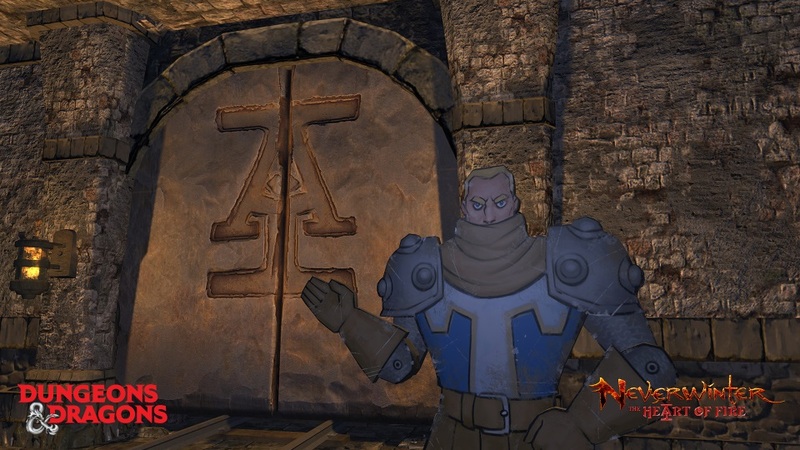 The team at Perfect World Entertainment and Cryptic Studios have announced the next module for Neverwinter called The Heart of Fire which will be featuring Acquisitions Incorporated (AcqInc) – the famed Dungeons & Dragons adventuring company created by Penny Arcade’s founders. AcqInc began life as a D&D podcast and is now frequently a live D&D stage show at PAX-series events. Coming to PC on November 6, the latest story sends players across the Sword Coast in an original Acquisitions Incorporated adventure, penned and voice-acted by Jerry Holkins and Mike Krahulik of Penny Arcade fame, along with Amy Falcone as Walnut Dankgrass (of Acquisition Incorporated’s “C” Team). With the occasional “assistance” from Jim Darkmagic (Mike Krahulik), players begin an expedition throughout the Sword Coast that grows more ridiculous with every request: infiltrate a Beholder convention, battle sky pirates in the Acquisitions Inc. airship and rescue royalty culminating in a marvelous new Skirmish. Additionally, the Professions system is receiving an overhaul which will allow players to own and manage their personalized workshop in Protector’s Enclave. Those folks that are attending PAX West this weekend should be aware that at the previously announced Neverwinter booth (#1115 in hall 4F) will be hosting an early look at The Heart of Fire and a chance to earn their Pinny Arcade pin.